Life Insurance is a financial cover for a contingency linked with human life, like death, disability, accident, retirement etc. Human life is subject to risks of death and disability due to natural and accidental causes. When human life is lost or a person is disabled permanently or temporarily, there is loss of income to the family. 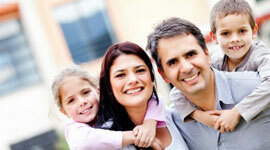 You can choose to have protection for a set period of time with Term Insurance. In the event of death or total and Permanent Disability ( if the rider is offered), family dependants will be paid a benefit equivalent to sum assured. In Term Insurance, no benefit is normally payable if the life assured survives the term. With whole life insurance, one is guaranteed for lifelong protection. Whole life insurance plan pays out a death benefit so one can be assured that family is protected against financial loss that can happen after death. 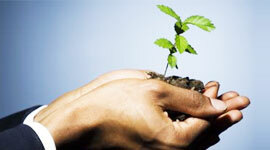 It is also an ideal way of creating an estate for one’s heirs as an inheritance. An Endowment Policy is a savings linked insurance policy with a specific maturity date. Should an unfortunate event by way of death or disability occur to one during the period, the Sum Assured will be paid to the beneficiaries. On life assured surviving the term, the maturity proceeds on the policy become payable. These types of policies are taken on the life of the parent/children for the benefit of the child. By such policy the parent can plan to get funds when the child attains various stages in life. Some insurers offer waiver of premiums in case of unfortunate death of the parent/proposer during the term of the policy. These plans are the best option to arrange funds for child’s needs like School Education, College Education, Professional Education, Marriage needs and even launching a child in business. When one retires attaining a particular age from employment or from business at his will he no longer gets his salary while need for a regular income continues. Retirement benefits like Provident Fund and gratuity are paid in lump sum which are often spent too quickly or not invested prudently with the result that the retired person finds himself without regular income in his/her post - retirement days. 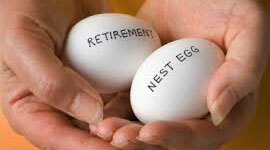 Pension is therefore an ideal method of retirement provision because the benefit is in the form of regular income. It is wise to invest for old age when we have regular income during our earning period to take care of rainy days. Financial independence during old age is a must for everybody. 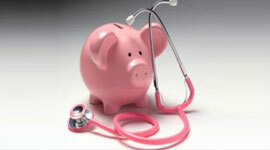 In case of immediate Annuity, the Annuity payment from the Insurance Company starts immediately. Purchase price (premium) for immediate Annuity is to be paid in one installment only. Under deferred Annuity policy, the person pays regular contributions to the Insurance Company, till the vesting age/vesting date. One has the option to pay as single premium also. The fund will accumulate with interest and total fund will be available on the vesting date. The insurance company will take care of the investment of funds and the policyholder has the option to en cash 1/3rd of this corpus fund on the vesting age / vesting date tax free. The balance amount of 2/3rd of the fund is utilized for purchase of Annuity (pension) to the Annuitant. Unit Linked Insurance Policies (ULIPs) offer a combination of investment and protection and allow one the flexibility and choice on how premiums paid are invested. In Unit linked plans the investment risk portfolio is borne by policy holder as an investor. Typically, the policy will provide one with a choice of funds in which one may invest. Policy holder also has the flexibility to switch between different funds during the life of the policy. The value of a ULIP is linked to the prevailing value of units one has invested in the fund, which in turn depends on the fund’s performance. In the event of death or permanent disability, the policy will provide the Sum Assured (to the extent one is covered) so that one can have the comfort in knowing that his/her family is protected from sudden financial loss. 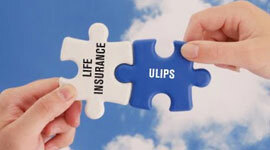 A ULIP has varying degrees of risk and rewards. There are various charges applicable for Unit Linked Policies and the balance amount out of the premium is only invested in the fund/funds chosen by policy holder. A home is a beautiful gift of god created by your hard work, though you may not realize but there are so many people on this earth who don’t have a home. Home is a feeling, its has emotional value, you love it and home reserves a big place in your heart. Home is a place where you can trust your loved ones are safe & sound, every corner in your home has a value for you & is placed with the things you love the most….wont you want your home to be protected? One biggest investment in lifetime goes in making or buying a home. 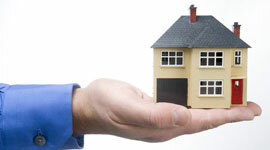 It is crucial to get home insurance and property insurance. It is quite easy to get home insurance in present times. The home insurance plan is intended to protect the homeowners against accidental damage of the house. The damage that can get covered under this policy are a variety of disasters such as storm, fire, theft, vandalism and related hazards. Along with the home insurance, all valuable installations & domestic instruments are protected too. It is in interest of the home owner to keep house protected with life insurance weather house is taken on loan or its free from loan. Insurance as the term suggests is to compensate the financial loss that is occurred due to an untoward incident/accident so that loss does not affect the commercial value. Any automobile when put on road is prone to certain risks/damage. Every automobile has declared value and it is important that this value is tagged with insurable value so that loss can be compensated . 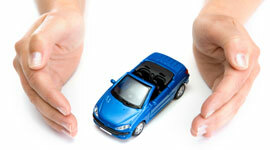 Auto Insurance is available with General Insurance with specified terms and plans. Things are prone to risks and need to be protected against their declared value, general insurance covers all aspects of living non living things viz Automobile Insurance, Factory Insurance, Machinery Insurance, cattle Insurance, Health Insurance, Medical Equipment Insurance, Infrastructure Insurance, Home Insurance, Marine Insurance against all types of losses that may occur due to human error or natural disaster like fire, flood, storm, earthquake etc. All General Insurance companies offer variety of plans tailor made to suit individual requirements on general insurance platform. Be it leisure travel, business travel or an emergency travel due to any reasons must be hassle free and should be taken without worries. 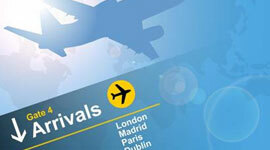 Vide variety of travel insurance offered by General Insurance companies takes care of all sort of risks and huddles arising during travel abroad within India. Travel Insurance covers loss against luggage, money, passport, any medical emergency, accident or any sort of specified risks that may become a challenge causing loss of money or peace of mind.